Web design and development the company InCanada. 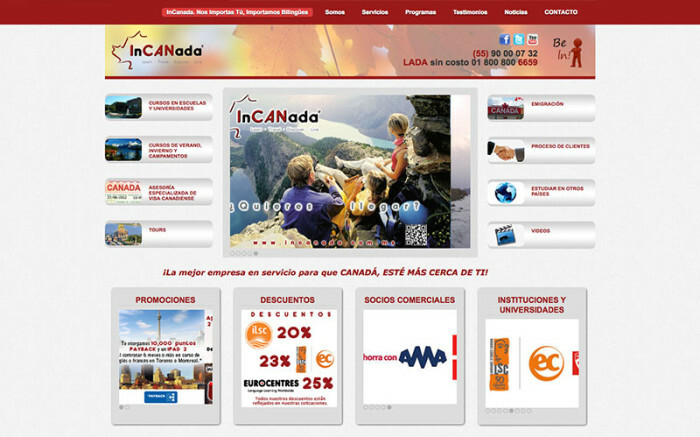 Website for InCanada, company dedicated to send students to schools and universities in Canada. Developed in the WordPress system.